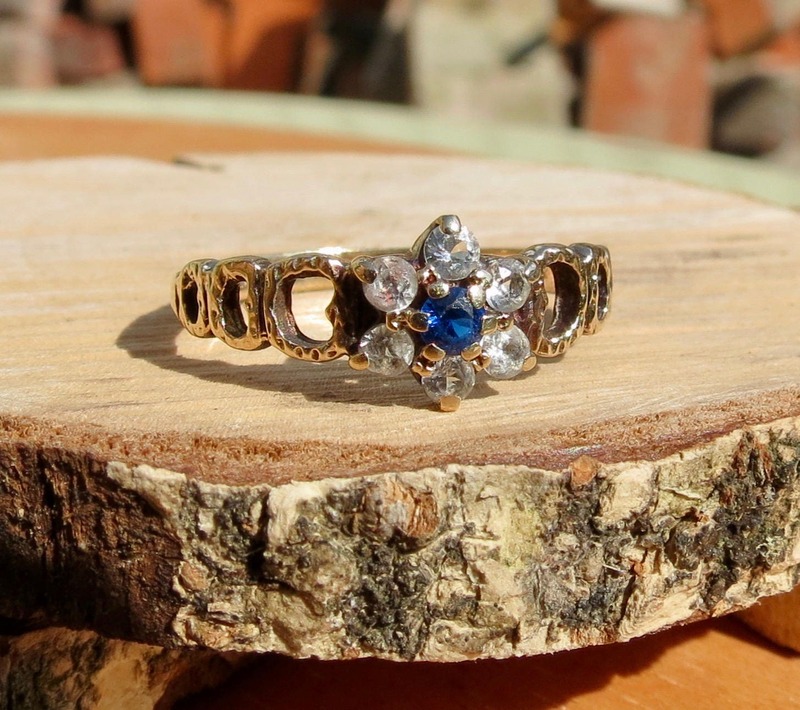 Vintage 9K yellow gold blue and white daisy ring. 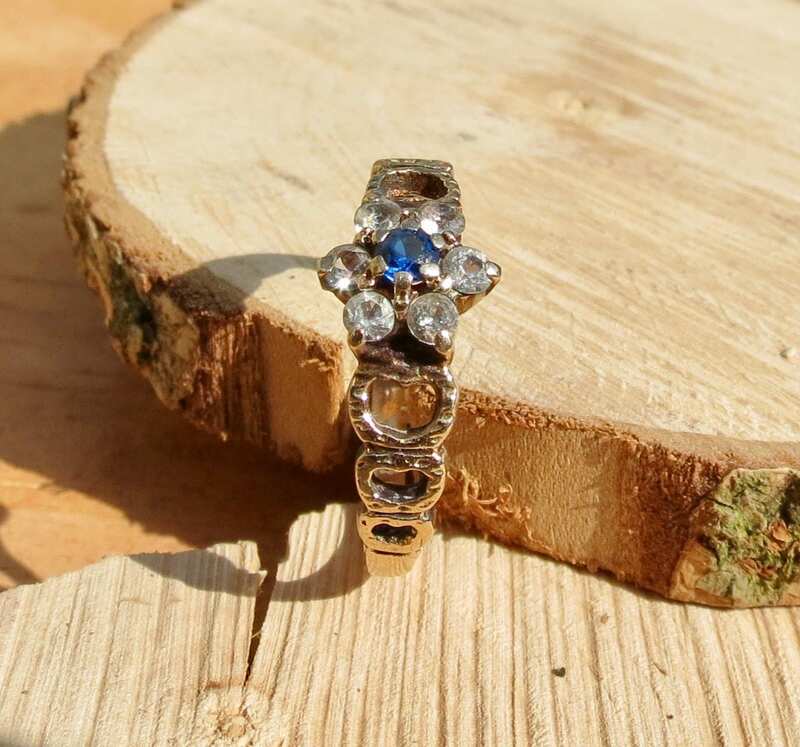 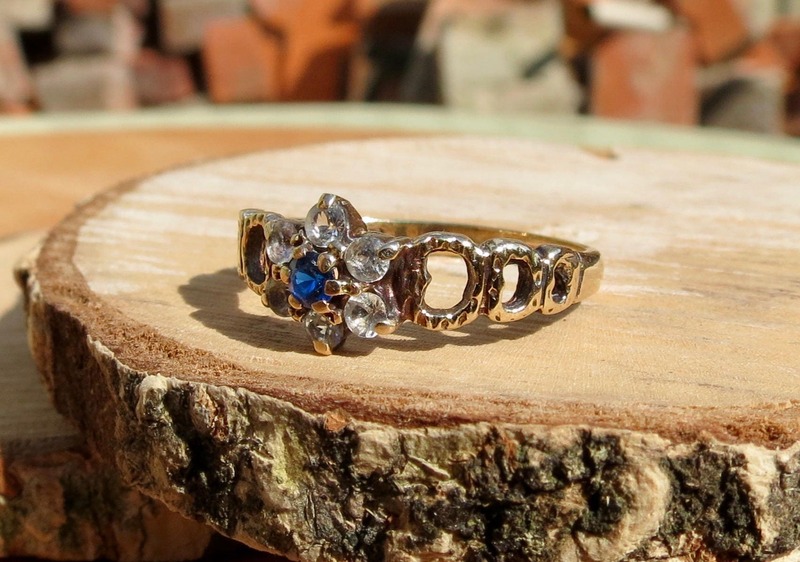 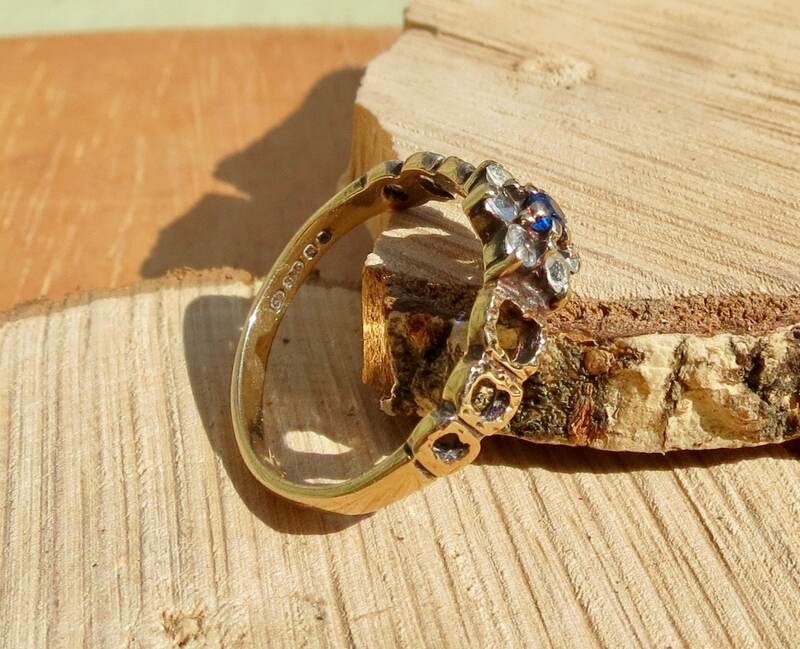 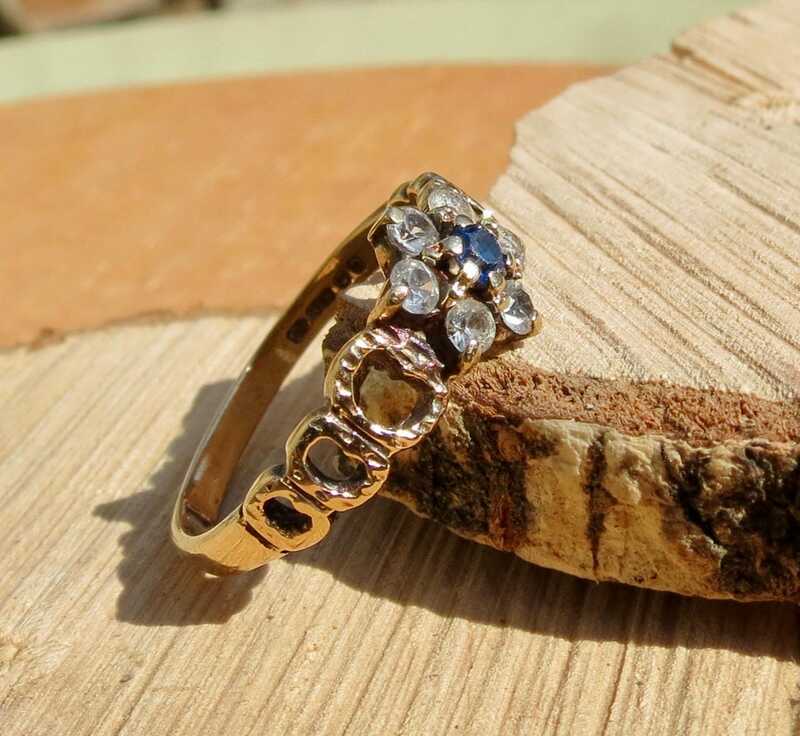 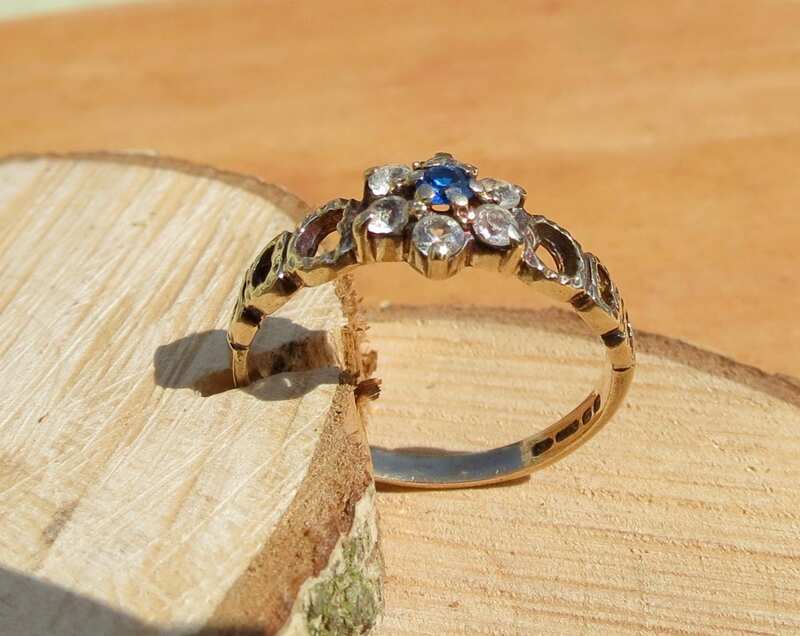 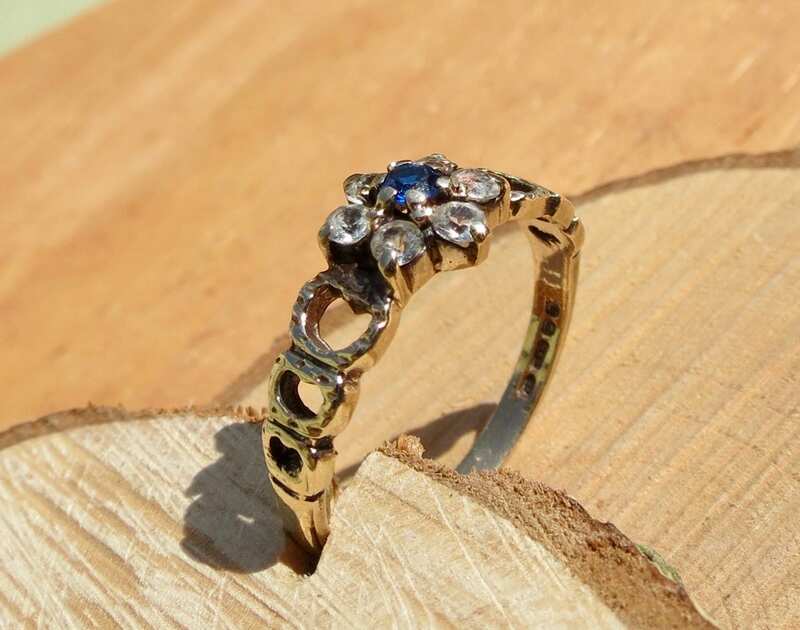 This vintage 9k yellow gold ring has five round cut white stones, mounted in a daisy arrangement setting with a round cut blue stone at the centre. 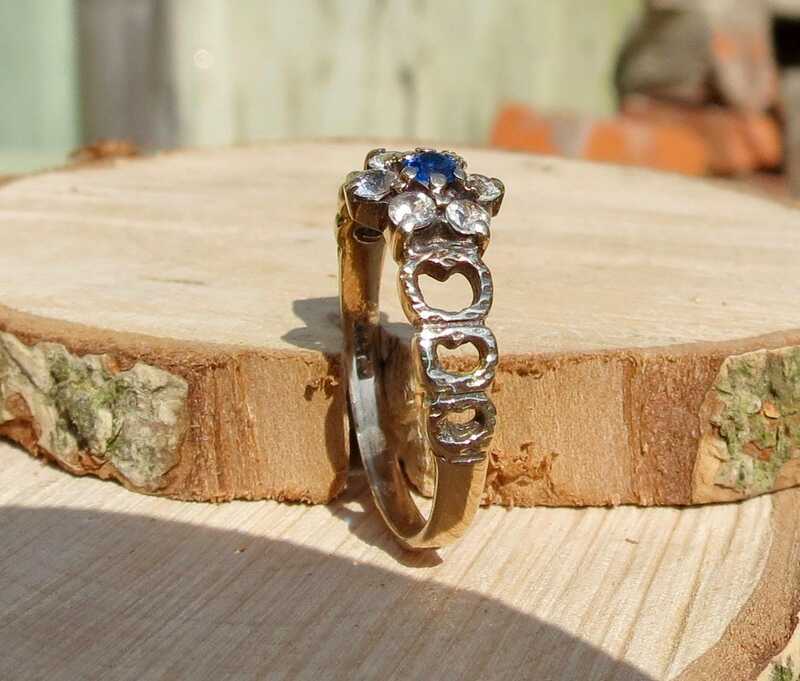 Decorative latticed oval heart shoulders lead to a plain band.